Venture out of the city with trips to Anaheim (Disneyland Park & Disney California Adventure Park). Pack the 5th (Sun) with family-friendly diversions at Universal Studios Hollywood. Next up on the itinerary: examine the collection at The Getty Center, admire the landmark architecture of Walt Disney Concert Hall, take a leisurely stroll along Santa Monica Pier, and explore the world behind art at Los Angeles County Museum of Art. For reviews, where to stay, other places to visit, and more tourist information, read our Los Angeles online journey planner . Sao Paulo, Brazil to Los Angeles is an approximately 16-hour flight. You can also do a combination of bus and flight. Due to the time zone difference, you'll gain 5 hours traveling from Sao Paulo to Los Angeles. Traveling from Sao Paulo in January, things will get slightly colder in Los Angeles: highs are around 24°C and lows about 11°C. 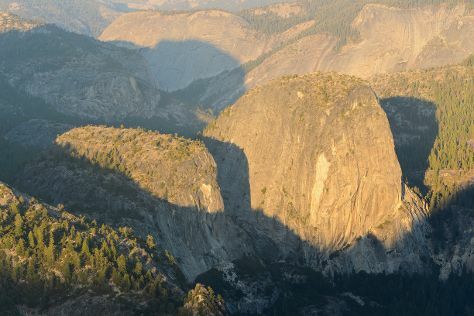 Finish up your sightseeing early on the 7th (Tue) so you can travel to Yosemite National Park. On the 8th (Wed), spend an exhilarating day on the slopes at Yosemite Ski and Snowboard Area. And it doesn't end there: tour the pleasant surroundings at Curry Village Ice Rink, take your sightseeing to a higher altitude at Cathedral Beach Picnic Area, don't miss a visit to Pothole Dome, and explore the striking landscape at North Dome. Start your trip to Yosemite National Park by creating a personalized itinerary on Inspirock. Traveling by combination of flight and car from Los Angeles to Yosemite National Park takes 4.5 hours. Alternatively, you can drive; or do a combination of flight and bus. Traveling from Los Angeles in January, expect Yosemite National Park to be much colder, temps between 7°C and -12°C. Finish up your sightseeing early on the 11th (Sat) so you can go by car to San Francisco. San Francisco is known for nature, museums, nightlife, shopping, and childrens museums. 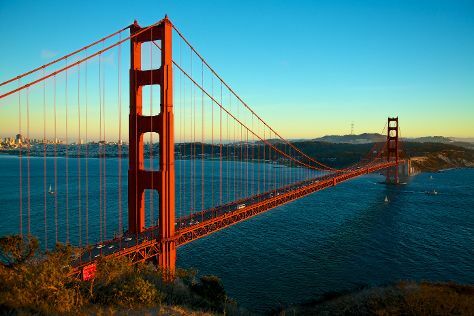 Your plan includes some of its best attractions: snap pictures at Golden Gate Bridge, engage your brain at Exploratorium, head off the coast to Alcatraz Island, and take a leisurely stroll along Fisherman's Wharf. To find more things to do, other places to visit, traveler tips, and tourist information, go to the San Francisco trip tool . Drive from Yosemite National Park to San Francisco in 4 hours. Alternatively, you can do a combination of car and flight; or do a combination of bus and flight. When traveling from Yosemite National Park in January, plan for a bit warmer days in San Francisco, with highs around 17°C, while nights are much warmer with lows around 9°C. Wrap up your sightseeing on the 17th (Fri) to allow time to travel to San Diego. Go for a jaunt from San Diego to Encinitas to see Self Realization Fellowship Hermitage & Meditation Gardens about 46 minutes away. The adventure continues: admire nature's wide array of creatures at San Diego Zoo, pause for some photo ops at Cabrillo National Monument, take in nature's colorful creations at Botanical Building and Lily Pond, and immerse yourself in nature at Torrey Pines State Natural Reserve. To see other places to visit, maps, traveler tips, and tourist information, refer to the San Diego travel route tool . You can fly from San Francisco to San Diego in 3.5 hours. Alternatively, you can do a combination of train and flight; or drive. When traveling from San Francisco in January, plan for somewhat warmer days and about the same nights in San Diego: temperatures range from 22°C by day to 12°C at night. Cap off your sightseeing on the 21st (Tue) early enough to travel back home.